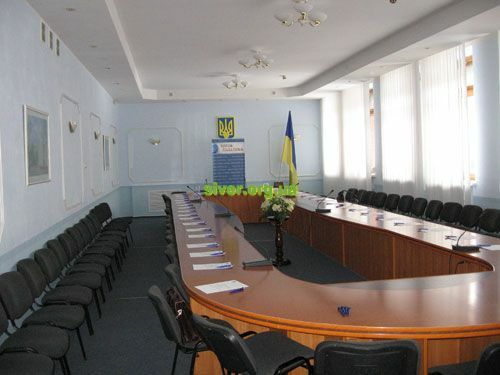 Hotel and tourist complex “Pridesnyansky” is located in a quiet part of Chernihiv on the picturesque bank of the Desna river and within 3 km from the historical and business center of the town. In the hotel there are 61 rooms of different categories whith the total capacity up to 100 guests. Rooms: private lavatory, satellite TV, refrigerator, telephone, Wi-Fi internet access. Suites, de-luxe rooms and apartments are equipped with AC. Infrastructure: Cafe for 60 guests, 2 banquet rooms (6 and 12 persons), 2 conference rooms (60 and 20 persons), business center, sightseeng tours & excursions, laundry, sauna. Next to the hotel there is a secured parking lot (paid). Неплохой отель, наверное самый лучший в Чернигове. Очень хороший отель. Забронировала номер заранее – выбрала отель через Интернет благодаря хорошим отзывам о нем. И не разочаровалась, а наоборот, все оказалось даже лучше, чем я себе представляла. Красивый интерьер, хорошее обслуживание, очень неплохой завтрак (сок,макароны с сарделькой, блинчики с творогом и сметаной, кофе). 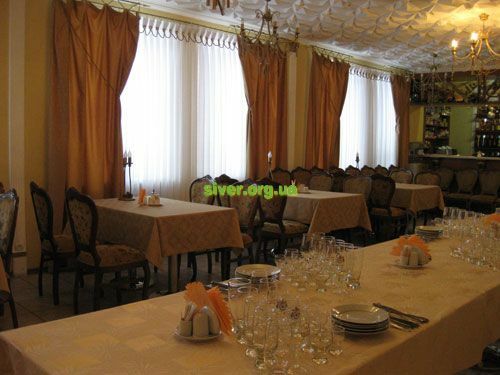 Pridesnyanskiy 2*+ Ukraine 3* Park-hotel Chernigiv 3* Bryansk 2* Profsoyuzny Gradetsky Hotel Cafe "Villa Garden" Tourist complex "Zolotoy Bereg" Mini-hotel "Berezki-service" Hotel "Sport" Hotel and resteaurant complex "Turetskyi"
Holiday camp "Ranch Club" Holiday camp "Sunrise"
Cottage "Bilya Svyatogo ozera (At Holy lake)"